Lepidus is defeated and Rhianwyn’s precious Caledon is at peace, but still Gawan of the Gorvicae is troubled. What future is there for men like him in a world with no more need for warriors? With his tribe saved he knows that he ought to be contented, but more and more he finds himself dwelling on his past, and the life he abandoned for what he thought was a greater duty. Though amends for that will have to wait as, even as the alliance of tribes is formed, the Caledon seems ready to collapse. Such an impressive world is laid out in this series, and the characters, battle hardened tribal people, are well written! Emeryn was back to complaining about the ride when Gwydion returned, though she fell silent as she saw him canter up. Once again the blonde man’s face was unusually serious, and Gawan didn’t waste time with pleasantries as his brother slowed his mount. Gwydion answered through heavy breaths. Gawan resisted letting his hand stray to Heartreaver’s grip. In the corner of his eye he saw Emeryn’s face grow concerned, but he kept looking at his fellow Gadarim. Gwydion shook his head. Gawan saw Emeryn’s shoulders drop in relief as he turned to face his lover. They both knew that Emeryn would be in no mood for a gallop back down the column and she simply nodded to him with a smile. Gawan’s lip twitched slightly and he swung his pony around. 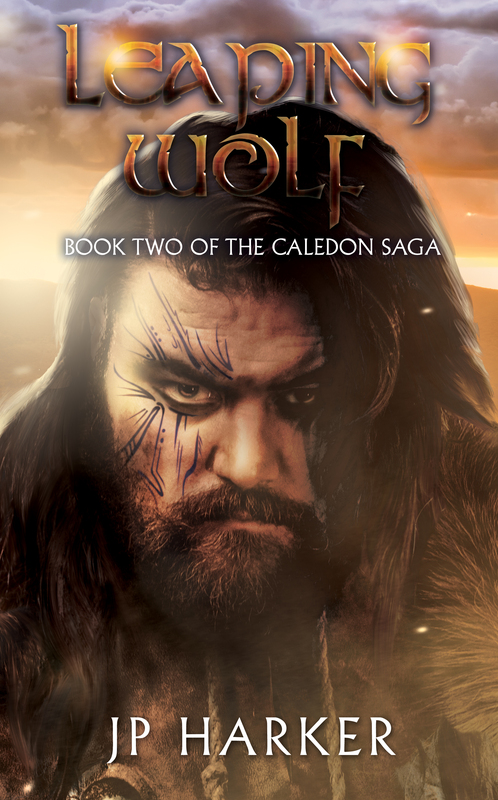 Gwydion had already turned his and Gawan followed his lead as he spurred his mount into a canter, first back east along the track and then veering northwards to the beginnings of a beech wood. They made it there in swift order and slowed their horses as they broke the treeline. Both men dismounted after a few more paces, with Gwydion still leading the way. The trees were not quite so thick as to make riding impossible but it was easier just to walk and guide the ponies by their bridles. In any case, Gawan found it was nice to be out of the saddle. Gwydion spoke as they walked. Gwydion simply grunted and nodded back. Though not so deadly as the Aborans the Panther men were still dangerous, and Gawan had lost enough of his people already. Gwydion shook his head. Gawan was quietly relieved that they had come off so lightly, though he felt a stab of annoyance that they would not be gaining another mailshirt. A few Lurian smiths were trying to learn the craft of making them but most had been occupied in forging swords and shield-rims for the Dragons and besides, the process was time-consuming. Every mailshirt worn by the Caledon’s legion had been looted from a Gaian corpse, and even after the carnage at Nantwyn they were still in shorter supply than he’d have liked. He kept his disappointment to himself and they walked on a little way, and soon the pair came to a small clearing, and the first thing Gawan saw was Tarwyn cleaning his bloody sword on a cloth. His fellow Gadarim was dark-haired and dark-eyed, plainly dressed in grey tunic and breeches, and though he was already a tall man he appeared taller still because he was so slender. Nearby him young Pryder was trying to help the much larger Hewin onto his pony, the latter’s injured ribs making it a painful process for the both of them. Between them, lying at the base of one of the thicker trees, lay the soldier. He looked young, but then with the beardless Gaians it was always harder to tell. His cheek was dark with stubble and his short hair ragged, the skin tanned a little browner than one tended to see among Lurians. There was blood all over his body and limbs and Gawan noted the ragged cut that ran across the dead man’s throat. He felt no pity for him. The Gaian would have done far worse to them given the chance. As Gwydion had said the man had abandoned his mail but he’d apparently kept his short sword which lay a few feet from his hand. Perhaps he’d thought to be less conspicuous without the armoured shirt but had been reluctant to discard his weapon. He was still wearing the thigh-length green-and-black tunic of the Panther Legion, though it was now torn and stained with blood in several places. Gawan felt his gorge rise. Green was the colour of the Gorvicae, and seeing an enemy wear it always felt like a stab to his pride. The others were standing about looking rather uncertain and Gawan took command of the situation. There was a heartbeat’s hesitation before the Gadarim complied and Gwydion gave him an uncomfortable look before speaking to Tarwyn. The tall Gadarim bobbed his head, his voice laconic. Gawan couldn’t help but sneer at that. The others shuffled uncertainly for a moment. They must have known that the chances of Annwn allowing such a man into the Otherworld were slim, but nevertheless they were clearly feeling awkward. Tarwyn, his eyes serious, spoke for them. Gwydion and the others nodded their agreement. Gawan scowled. Truth be told they had a fair point, but few men hated the Gaians more than Gawan son of Dearg. He shrugged his shoulders. Pryder wrestled the tunic from him before Tarwyn and Gwydion took an armpit each and hauled the legionary up, his head lolling forward. He wasn’t that large a man and the two Gadarim were strong, and they moved him to the open ground with relative ease. Gawan didn’t pause even for a heartbeat. In a single smooth motion he drew Heartreaver from its sheath and brought it down onto the Gaian’s neck, severing the head in one stroke. It hit the ground with a dull thud and rolled in the dirt. Gwydion and Tarwyn dropped the body in shock, the headless corpse crashing onto the grass. Both men stumbled a pace and then glared at Gawan. They knew his skill well enough to know they had been in no danger from his blade but they looked at him with quiet anger all the same. The First Man ignored their disapproval and then ignored his aching legs as he leaned down. He grabbed a fistful of dark hair and picked up the dripping head before gesturing contemptibly at the body.